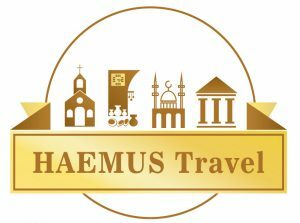 HAEMUS Travel is a branch of HAEMUS – center for scientific research and promotion of culture, based in Skopje, Republic of Macedonia. We founded HAEMUS in 2012 as an organization striving to promote scientific research and culture on the Balkan Peninsula, offering a wide range of services related to our cultural heritage. These fall into several categories, including: research, cultural resource management, publication, education, promotion and tourism. With time, HAEMUS grew up as an organization, allowing up to 5 people to work and earn a living from our projects. Lately, we founded HAEMUS Travel as a way to implement our skills into the creative side of the tourism. As a Macedonian-based organization, we can organize your trip to the Republic of Macedonia, we can help make your booking, but we can also give you advice and travel tips for all of the Balkan countries in general. Within Macedonia, we organize short walking tours and longer trips which are managed by experts exclusively, who are seriously engaged in the field of cultural heritage. These excursions are led by professional archaeologists, art historians, historians, ethnologists and tourism professionals with qualified license for professional tour guide, given by the Ministry of culture of the Republic of Macedonia. We also provide advice and assistance in creation of writing articles, audio-visual materials, such as audio-guides, documentaries, videos and other promotional material related to the cultural heritage of the Balkans. We arrange different types of educational activities, such as lectures, workshops, seminars or conferences too. Every order you make, every product we sell, every service you purchase helps us running our organization dedicated to the promotion of the Macedonian and in generally Balkan heritage. We invest our money in research project, in public events and in publications always preformed under the UNESCO’s motto of Open Educational Resources on Internet. We strongly believe that sharing is carrying for our common cultures. We would like to express our gratitude for choosing us and our ideas to be your partner and guide in your own creative Balkan journey.